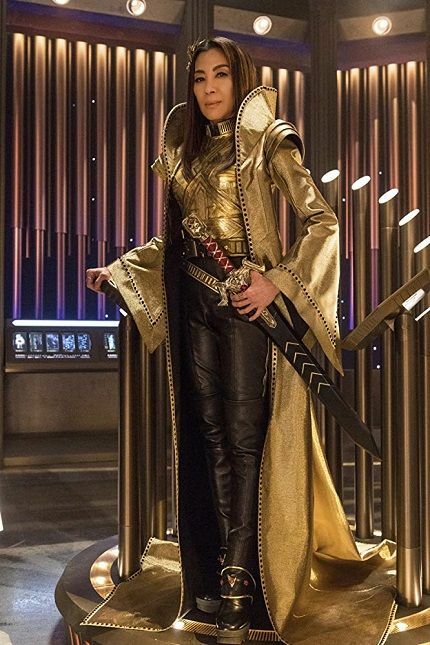 The show—written by Bo Yeon Kim and Erika Lippoldt—won’t focus on Yeoh’s Star Trek: Discovery character Phillipa Georgiou, the noble Starfleet Captain we met at the beginning of the series; instead, she’ll get to dive further into the version of Georgiou from the Mirror Universe, former Emperor of the evil Terran Empire, who found herself brought over to Star Trek’s primary timeline in the back half of Discovery’s debut season. That means that aside from exploring this much more villainous interpretation of Georgiou, the series will dive into the character’s time as a recruit of Section 31: the shadowy Federation black-ops group first introduced in Deep Space Nine as a hidden branch of Starfleet tasked with doing the dirty work needed to maintain the Federation’s lofty utopian ideals. She did a great job on the first season of the show and is set to recur on the second season, which starts airing this Thursday January 17th. I look forward to watching the DVDs of these series when they become available (because I still refuse to pay for CBS All Access just to watch Star Trek).